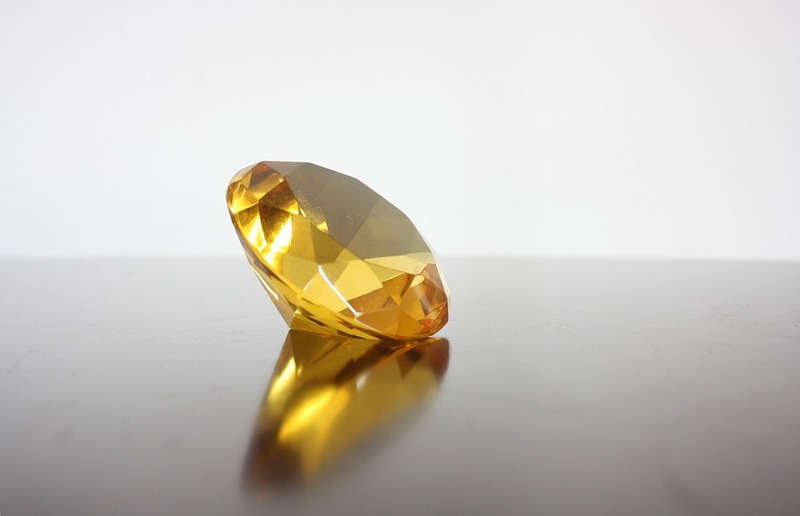 The birthstone of the month of November is the yellow topaz. Now the question arises, where does the stone come from exactly and what are the myths and legends behind the yellow topaz? In the following section, we will discuss this together. If you were born in November, then the yellow topaz or citrine is your lucky stone. 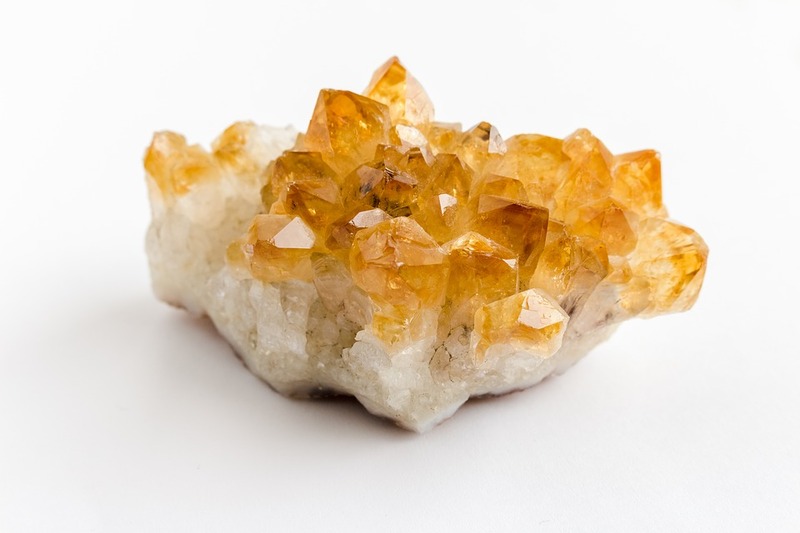 This gem is a yellow quartz and belongs to the topaz family. He is one of the most important healing stones in the world. The main origin of the topaz is Brazil. He was also discovered in Asia and the United States. The ancient Greeks felt a connection between the gemstone and the light of God, and thus also between purity and wisdom. At that time, people said that they wanted to gain infinite life with the gemstone. In Africa, the topaz, however, was used more for healings. Hildegard von Bingen also said that the yellow topaz will have a positive effect on the stomach and the heart. Incidentally, the largest topaz weighs 37 kg and was found in 1984 in Brazil. He is now in the National Museum of Natural History. The yellow gemstone builds vitality and strengthens the inner energy. He also promotes the self-confidence of his wearer and gives him a happy and boisterous feeling. He promotes his own skills and thus helps your success on the jumps. The yellow healing stone is also known for relieving the inner restlessness and nervousness and turning it into pure relaxation. He also has a positive effect on the body. He should detoxify the kidneys, intestines and liver. He also promotes concentration and brings a clear view of everyday life. The healing stone also has a positive effect on the psyche and prevents anxiety and depression. Self-confidence is enhanced and the past can be better processed. At Names4ever we sell numerous variations of necklaces with Swarovski elements in the color of the birthstone November: yellow topaz / citrine. Thus, you have a large selection of chains with birthstone. The yellow topaz is a radiant color that makes a piece of jewellery even more brilliant. 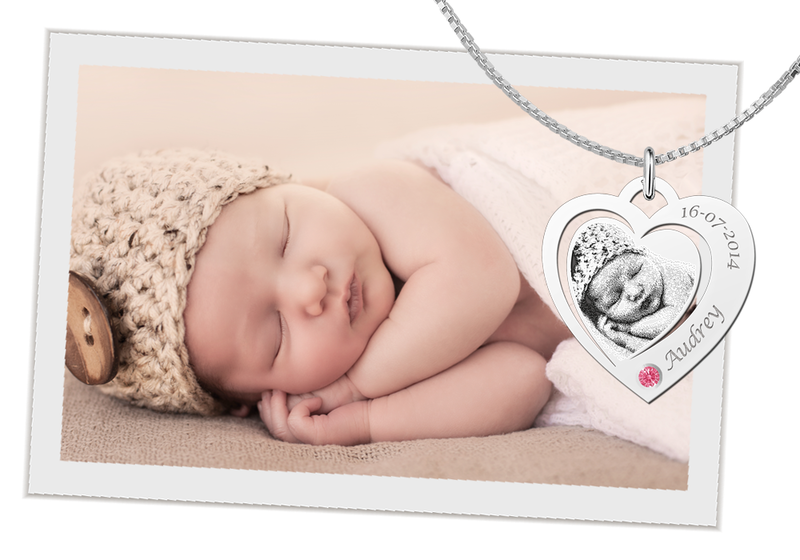 What a beautiful gift for the birth of a brilliant miracle! 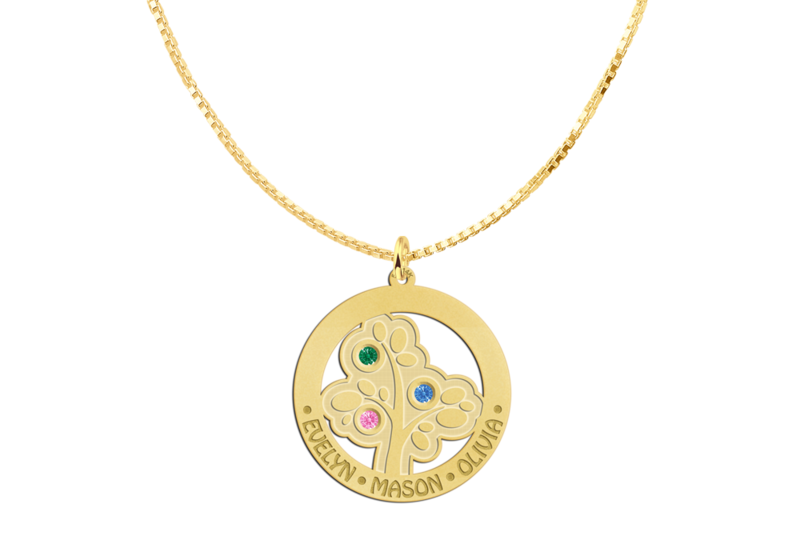 The jewel may be a photo pendant with the appropriate birthstone, or even a tree of life that involves the entire family and maps all birthstones and names. 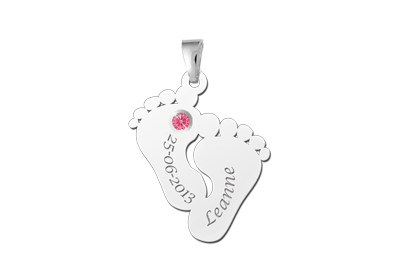 Of course you can also choose any other birthstone if your child, partner or friend / girlfriend was born in another month. Or if there is an absolute favorite color, the corresponding birthstone with that color will also be at your side. 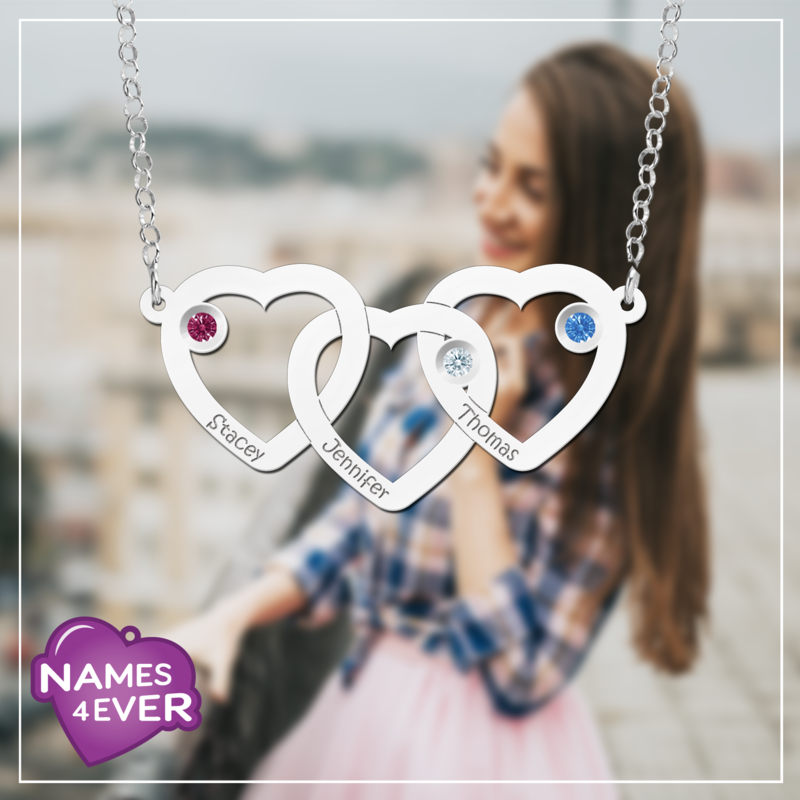 Take a look at our entire range of birthstone pendants . We have all the jewelry in 925 Sterling Silver and 14ct Gold.